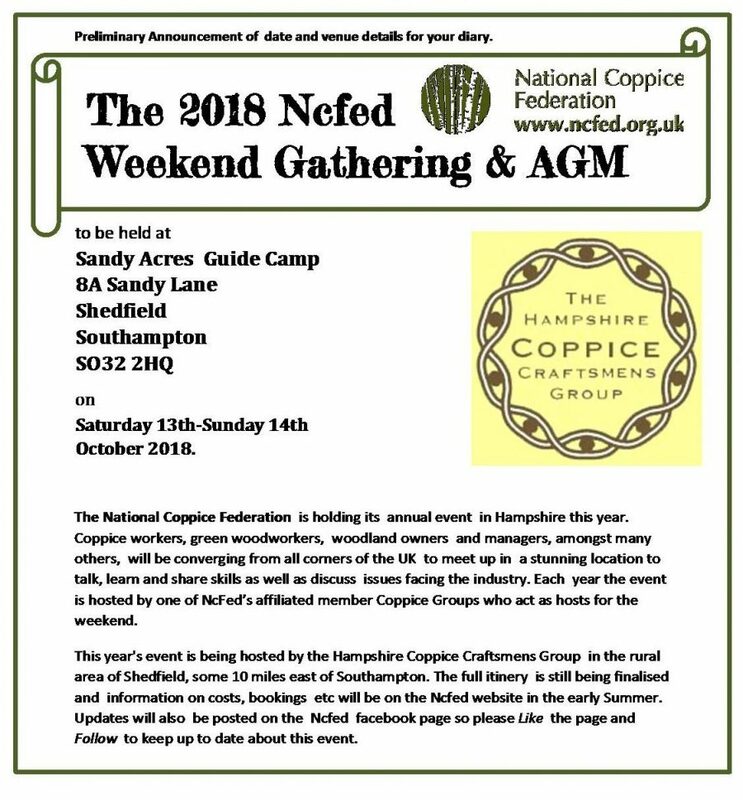 The NCFed website is now live and ready for your Bookings, and payment, for the packed programme lined up for the NCFed Weekend Gathering and AGM 21st & 22nd October 2017. Go to http://ncfed.org.uk/agm-and-gathering/ complete the booking form and then press the ‘Submit’ button. Once you have done that you can pay using the ‘Payment Option’ and ‘Buy Now’ buttons. If you would rather pay by cheque or BACS , details will be emailed to you once you’ve submitted the booking form. We look forward to seeing you all there for the weekend! 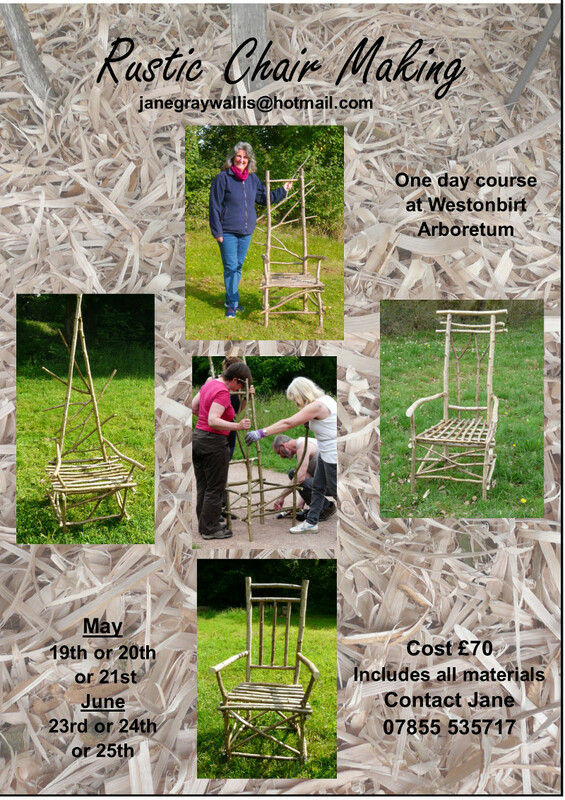 Rustic Chair making at Westonbirt Arboretum. One day course, £70 for the day which includes tools and materials. From 10 – 6 pm. Coffee tea and cake provided bring your own lunch. 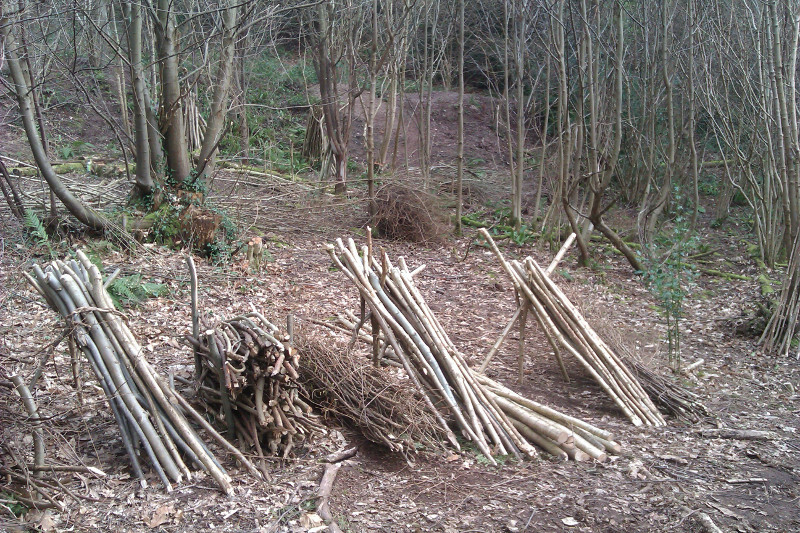 Start the day in an attractive woodland setting with a pile of rods – take home a chair. At 6.30 we will head off for a walk down to Paradise Bottom to look at some of the coppice cuts that have happened in the last few years. This will also take us through parts of Leigh Woods that are of international importance for conservation. 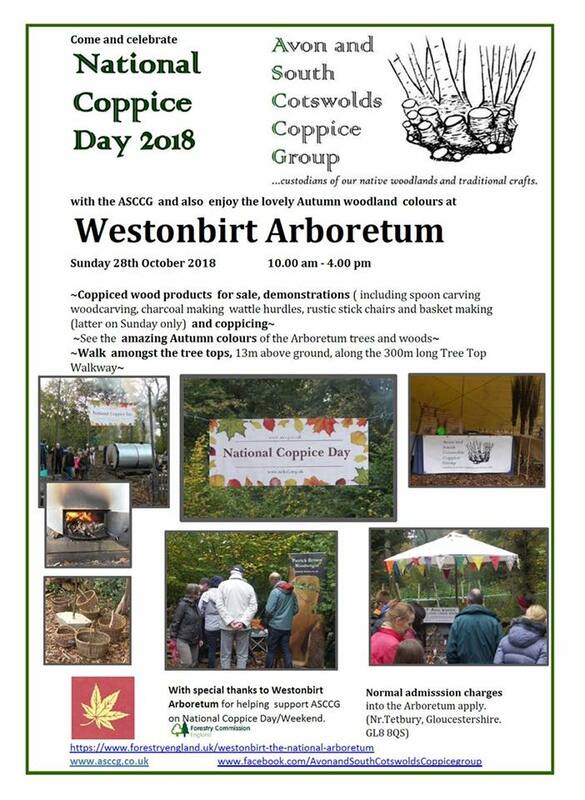 We will aim to return to the Green Barn by around 7.30pm where there will be the opportunity to see some of the other coppice coupes that have been cut over the last few years and where we will find a BBQ and refreshments waiting for us. 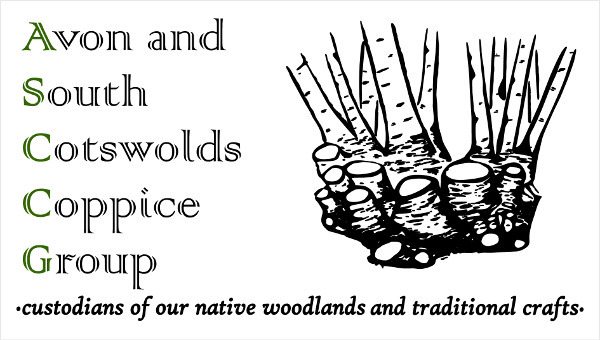 Tom Blythe (Beat Forester, Bristol and Savernake) and Nikki Morgans (Recreation and Community Ranger) will be around on the evening, and will give a short talk on behalf of the Forestry Commission, how they have been involved and facilitated coppicing in Leigh Woods, and what the general management aims and objectives are for the wood. As will Joe and Duncan, and Olly and Emma who have been responsible for much of the cutting. 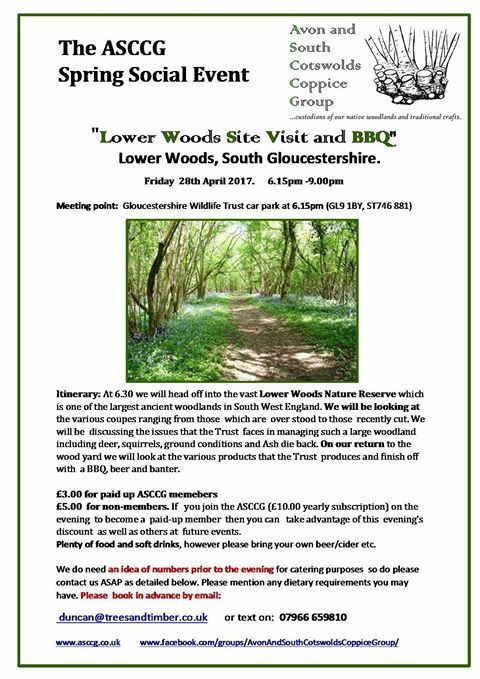 Above all, the plan is to go for a nice walk in the woods on (hopefully) a lovely summer’s evening and then to enjoy a BBQ and a drink or two with other people who have an interest in, are involved with or are active in coppicing. We would ask for a donation of £5 to cover costs or £3 for paid-up ASCCG members. 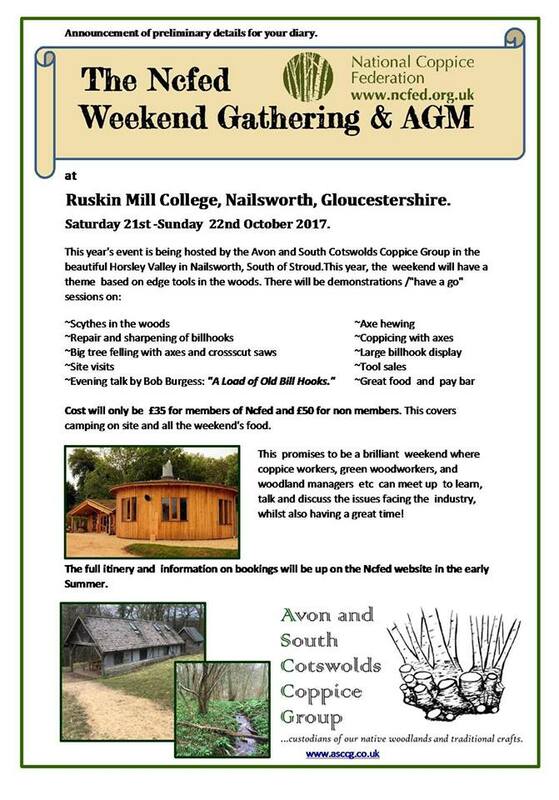 If people would like to take advantage of this and future discounts it will be possible to join the ASCCG on the evening. There will be plenty of food and some liquid refreshment, however if you are very thirsty or hungry consider bringing an extra supply.